Steve Lipsky, a Parker County homeowner who lives within 1,000 feet of the Dawsons, said Monday that several households in the Silverado development in far southern Parker County are having methane problems. Methane contamination of Lipsky’s water well set off a furious battle starting in late 2010 that involved Fort Worth-based Range Resources, the U.S. Environmental Protection Agency and the Texas Railroad Commission. The Railroad Commission determined in 2011 that methane in Lipsky’s well was from a shallow natural gas formation that Lipsky’s water well had tapped, rather than from the much-deeper Barnett Shale. In 2012, the EPA unexpectedly withdrew an emergency order it had issued against Range, which has long contended that its gas wells were not the source of the methane. According to a Railroad Commission report dated Aug. 7, the Dawsons told agency inspectors that their well stopped producing water in June and that their water well driller told them the well showed methane buildup. The Dawsons had the air inside their home tested, “which they were told is not explosive, but they need to address the methane issue in the water and air at their residence,” the RRC report says. “The Dawsons stated that they were told that the water was at the saturation level of methane/water levels, and that is how the methane got in their house,” the report says. It says the Dawsons put a vent on their water tank in response. The report does not identify a producer, but EnergyWire says Range wells and a Devon Energy well are in the area. Matt Pitzarella, a spokesman for Range Resources, said the EPA’s 2010 order required the company to measure methane levels in water wells within 3,000 feet of two of its wells. It did so until March, one year after the EPA withdrew its order, he said. 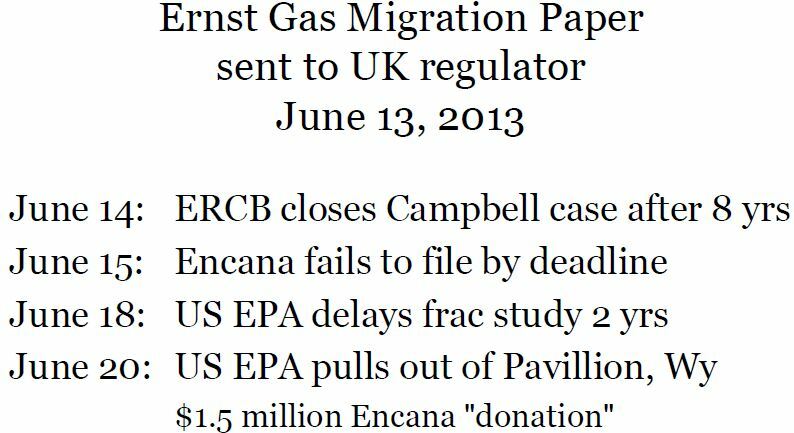 “We monitored those wells and provided all that data to the EPA and the Railroad Commission,” Pitzarella said. “There was some fluctuation in water quality, because of seasonal variations,” but otherwise no unusual results, he said. 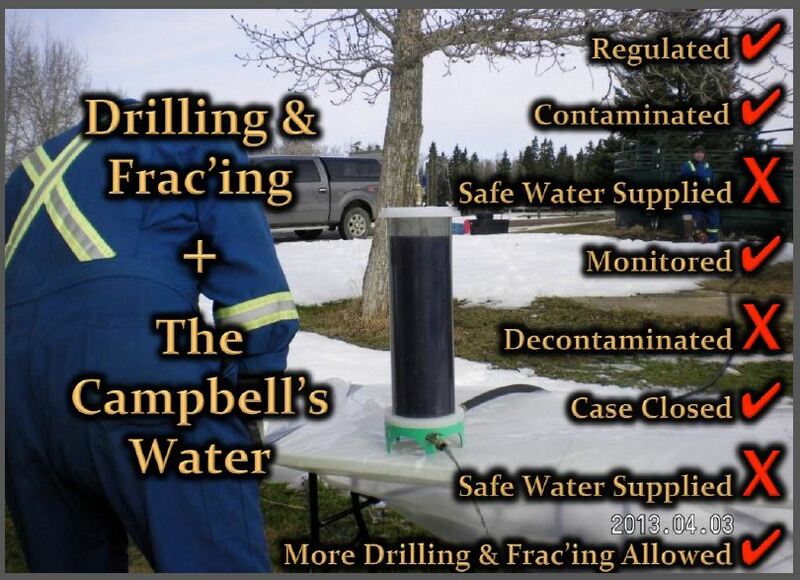 Pitzarella said it has been well established that at least one water well was drilled into the shallow formation, called the Strawn, “causing a direct connection” from that gas-bearing formation to the overlying aquifer. Lipsky said researchers from Duke University have taken samples on three occasions from a number of homes in the Silverado development, the last coming less than two weeks ago. “I have lots of neighbors with high readings,” said Lipsky, who has had a long-running legal dispute with Range, which claimed he defamed the company and sued him. Lipsky said the recent tests prove that the EPA was correct when it first said his water contained dangerous levels of methane. He sent the Star-Telegram two tests he said were from the Duke study, which has not yet been completed. Both showed methane concentrations several times greater than an “action level” recommended by the Pennsylvania Department of Environmental Protection. Remember the images of Parker County residents whose water wells catch on fire? Now they say their problem has gone from bad to explosive. They also say they have the test results to back up their assertions. A handful of Parker County residents said it all started around 2009 when their tap water started to bubble and stink. Their curiosity flowed into suspicion. Their suspicion evolved into disgust. Their water wells were filling with volumes of methane gas. Logic told them two newly drilled natural gas wells near their homes were to blame. Their complaints to state oil and gas regulators at the Texas Railroad Commission went nowhere. Tests performed by the drillers themselves showed only minor contamination. What methane was there, they claimed, has been naturally occurring for years. They said one of the residents’ wells was actually drilled 70 feet too deeply into a shallow gas-bearing formation called the Strawn. By 2011, the Texas Railroad Commission declared the case closed. Unwilling to give up, homeowner Steve Lipsky has now paid for his own series of tests. He used the same instrumentation and the same kind of tests conducted two years ago. The findings now show the levels of methane coming from their water wells are off the charts. One day earlier this month, the fumes coming out of Lipsky’s water well measured 162,000 parts per million; 50,000 ppm is considered “explosive.” “And just by knowing that the methane levels normally at 50,000 parts per million is extremely explosive, this is scary,” said air monitoring technician Buddy Alexander with Stacy Systems of Fort Worth. A few blocks away, at Shelly Perdue’s water well, the same test was conducted with the same instrumentation. Inside Perdue’s house with the tap water running, the technician discovered another danger — the inside ambient air detecting 63 parts per million of methane. When asked if that figure represents a dangerous level of gas in Perdue’s home, Alexander replied: “Yes it is; yes it is.” So now, more than ever, Lipsky and Perdue suspect the gas well just down the street is to blame. An environmental scientist hired by Lipsky, Dr. Bryce Payne of Pennsylvania, witnessed the recent tests and even conducted his own. His greatest concern: A buildup of methane gas inside Perdue’s water tank. “That holding tank was functionally a methane bomb that could ignite at any time, explosively,” Payne said. But tests conducted in 2010 by the drilling company, Range Resources, showed only minute levels of methane around Perdue’s water wellhead. The company hired by Lipsky recorded 140,000 parts per million in that same space three years later. The air around Lipsky’s water wellhead tested even higher — 158,000 parts per million of methane. 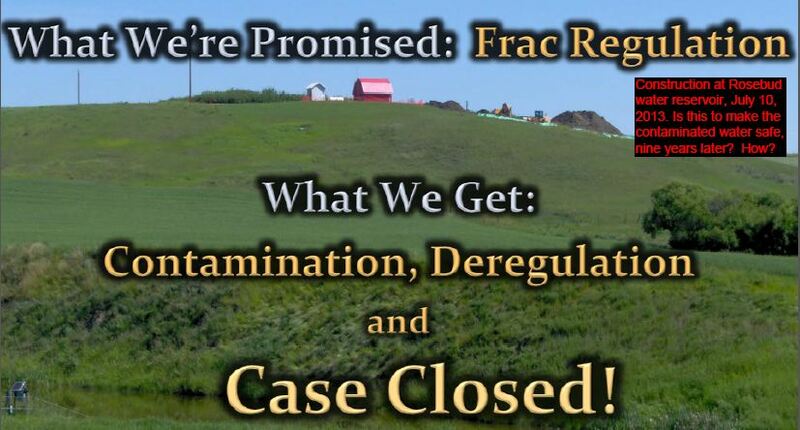 Yet the same tests done by the drilling company in 2010 recorded zero methane. Zero. But there’s more. Last December, Duke University scientists measured methane levels in Lipsky and Perdue’s water itself. Anything above 10 parts per million is considered unacceptable.